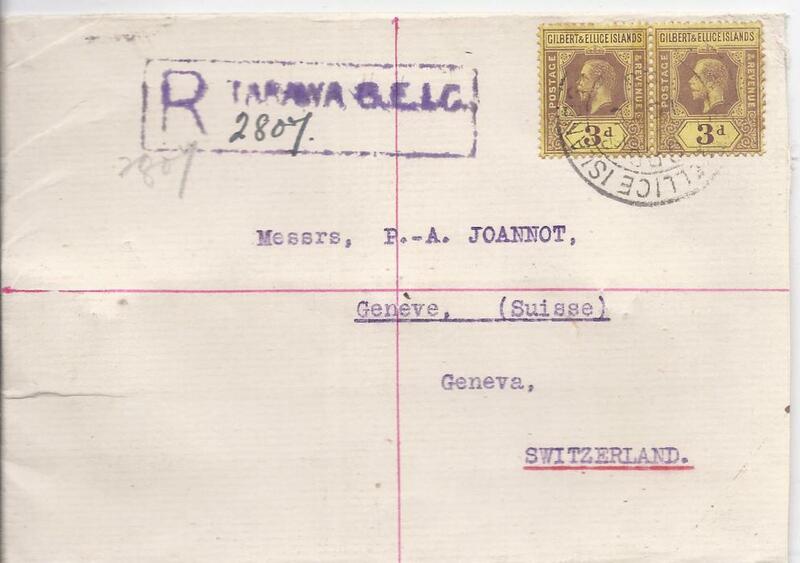 1928 registered cover to Switzerland franked pair 3d. purple/yellow tied unclear date stamp but to left fine violet Tarawa G.e.I.C. registration handstamp with manuscript number, reverse with London transit and arrival cds.